Q. How to prospect new leads? You are here: Home / LifeTopix / Common Questions / Q. How to prospect new leads? 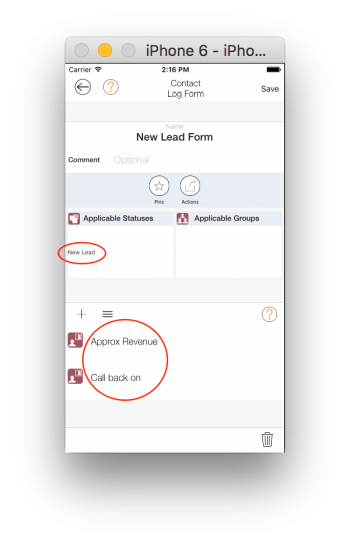 This tutorial gives you a quick overview on how to enter a new lead into our app and then do follow up on the lead. 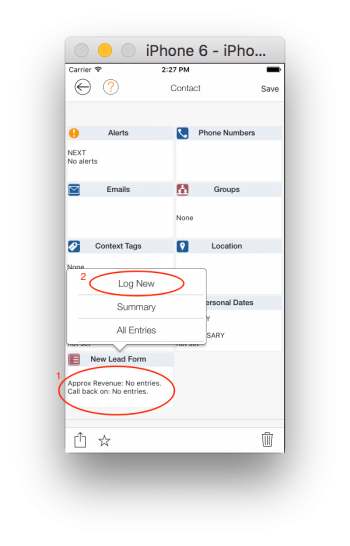 We will configure a new contact status, new log items and a new log form to capture the new lead information. 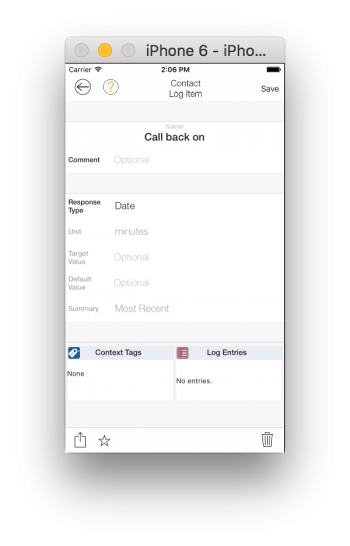 Once the configuration is done, we will create a new contact and show how the contact status, log items and log form tie together. 1. 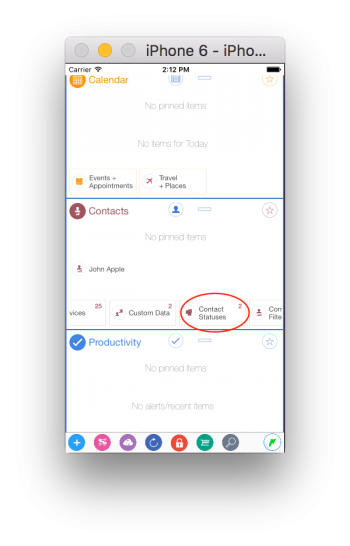 From the dashboard view, tap on “Contact Statuses” to add a new contact status “New Lead”. 2. 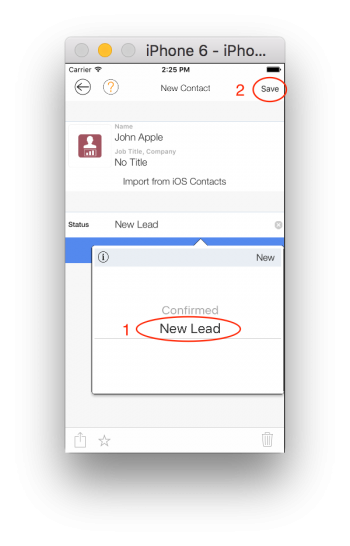 From the dashboard view, tap on “Custom Data” to create a “New Lead Form” to qualify a new lead. 4. Create a new Log Form, “New Lead Form”, add the two log items “Approx Revenue” and “Call back on” that we just created. Also, tap on “Applicable Statuses” and select “New Lead”. By doing that, this “New Lead Form” will only show up on the Contact detail view when the contact status is “New Lead”. 5. 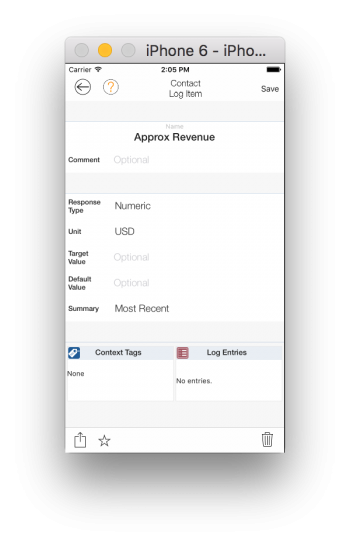 Create a new lead to test the custom log form we just created. 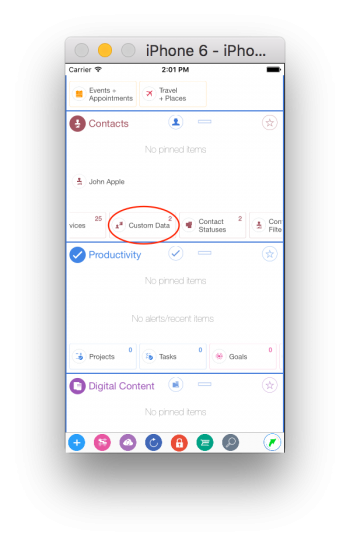 From the contact detail view, you should see the “New Lead Form” near the bottom, tap on it and then tap on “Log New” to enter some values there. 6. 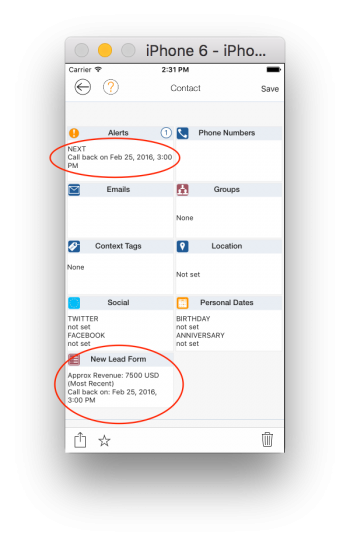 From the New Lead Form view, enter the “Approx Revenue” and “Call back on” and then tap on “Save”. You should be back to the contact detail view. Note that you’ll see the “Call back on …” from the Alerts tile to notify you the next action for this contact. 7. You can also see the same alert from the “Contacts” card in the dashboard view.